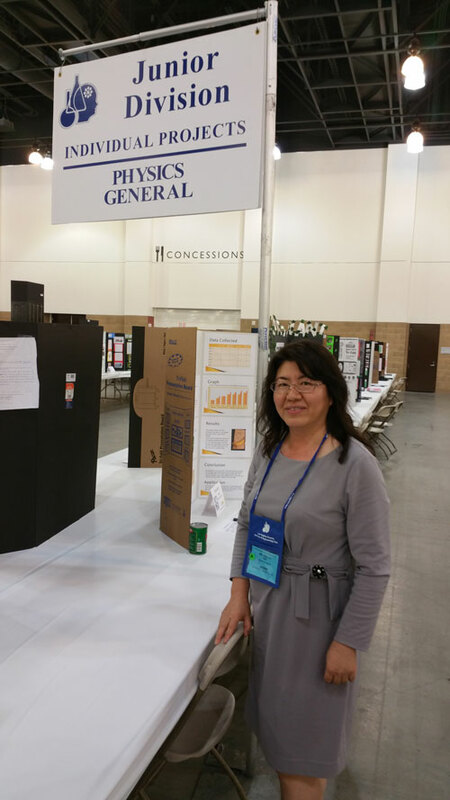 What Makes for a Successful Science Fair Exhibit? 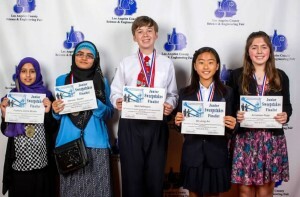 With hundreds of exhibits from middle school & high school students it may be difficult to stand out amongst the innovative and visual displays at the 2015 L.A. Science and Engineering Fair. We have some insider recommendations from Areteem Institute’s own Director Ms. Kelly Ren, who was chosen as a Judge/Chair for Physics in the Junior division. “It takes more than a good presentation or idea to impress the judges. If a student is aiming for top awards there are first some basic guidelines to follow.” Ms. Kelly Ren explains that the judging is based on an average score derived from the following categories: Creativity (30 points), Scientific Thought OR Engineering Goals (30 points), Thoroughness (15 points), Skill (15 points), and Clarity (10 points). It’s easy for judges to see which students have actually learned from their projects and this is the prime goal and basis for success. Did the students take the time to actually understand their subject matter? Did they conduct the proper experiments to assess the issue or hypothesis? And most important, are the results accurate and clear? Ms. Kelly Ren notes that “about 20-25% of participants actually get awarded, and these top performers usually have an original idea that the students have thoroughly understood and demonstrated in a professional manner to be correct and interesting.” In the junior physics category there were 39 projects entered with 1 1st place, 1 2nd place, 1 3rd place and 9 honorable mentions. The top awards for this event went to some very innovative and interesting exhibits, like: The Visualization of Sound, a presentation that uniquely showed how complex sound waves actually look, using sand spread patterns and even propane fueled flames that visually depict the sound waves. One other impressive exhibit was the Roller Coaster G’s, where a student not only passionately rode numerous roller coasters to gather data but took the time to explore the actual science behind the experiences. Then there are the little things. Ms. Kelly Ren indicated that “although some presenters had a good exhibit, with solid supporting documentation, they could have gotten better scores by paying more attention to the little details, the simple things”. Many students have worked for months on their presentations and could have given better impressions by having a firm handshake or being professionally dressed. One thing that is hard to be taught but is probably the most important, in science fair exhibitions or even academic life in general, is to have a passion for the subject matter. Ms. Kelly Ren emphasizes “Know your subject matter and enjoy the experience of learning – success will follow”.